Rate this Article Project Sansar will integrate elements of the highly popular virtual world game, Second Life, into the virtual reality platform. Find out more about this new project by reading on! The emergence of virtual reality equipment and software has spawned various possibilities in the digital industry not only with entertainment but other feasible applications as well. A good example of this would be a digital platform that would drive and support artistic and design creativity for said applications. Imagine a virtual 3D world where people can connect not only to play games but to engage in other activities as well. This may include education, design work and engineering, commercial and industrial sales and a lot more. Linden Lab, the company that created a virtual social and creative platform for the internet called Second Life is now working on sort of a 3D version of the platform called Project Sansar. Second Life (SL) functions like a virtual hub online where different servers hosting virtual worlds (whether they be games, applications or social media) can connect to and be visited by users of the platform. The thing with SL is that creators or designers and server administrators have to run special software that simulates the world that they build and maintain so that users can visit and experience them. Jumping from a server world to another provides the different experiences one can derive from such a platform or in technical terms a grid. Making the worlds or connecting a region (world) server to the grid involves lengthy and tedious technical processes that fall more on the domain of programmers and 3D artist. Despite that, platform grids such as SL and OSGrid have spurred a multitude of creative 3D and application resources coming from the technically inclined patrons of the service. This usually include the 3D objects, avatar models, skins, NPCs, scripts, sound files, pre-designed terrain, textures and other resources that can be found within the simulated world of these online platforms. These resources are either shared or sold via platform transactions providing a medium for creative expression and a means to earn real cash. According to the company, creative contributors have already been able to amass more than 60 million dollars in payouts annually from the platform. Not all virtual worlds connected to a platform are games. Some are virtual applications used by schools, industry and commerce where real money is involved. Let’s elaborate an example. A game level designer is hired to create a 3D environment of an astronomical application that simulates traveling through space and viewing our solar system. This is to be used by a private school for its science department. If you are used to working with 3D modeling programs and game engine editors, this would be one good way to make a living. Others simply sell the resources they make like avatar clothes or skins, 3D models (cars, planes, tables, chairs, etc…), control scripts/programs for NPCs and events and anything that can be sold online. Some game worlds have subscription fees to join or play-in. port the virtual world grid platform and its applications over. The result would be a grid or SL in VR and a lot more. 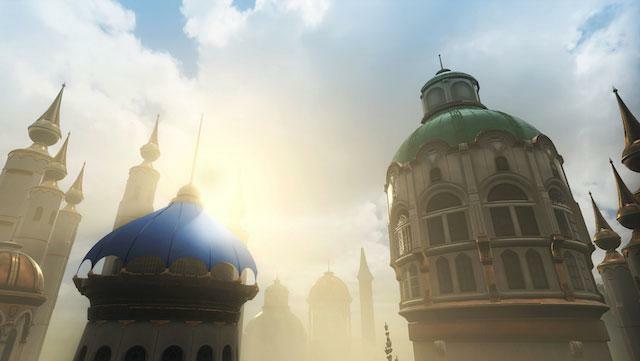 Project Sansar is still in the Alpha stage and currently undergoing further development. Linden Lab hasn’t made any announcements regarding the particulars of the project but states that it would be much more than Second Life. While Second Life became more popular on the social aspect of virtual worlds, Project Sansar as emphasized by the company will focus more on the creative and development side. The early stages of the platform would probably look like a VR workshop for 3D artist and level designers. A few virtual regions have already been developed for beta testing activities. With a VR headset strapped to your face and a set of virtual controllers in-hand, you manipulate objects within the virtual landscape to create your environment. Those of you who are familiar with using Virtual World server apps like Open Simulator and the like know all too well that you can create 3D objects and terra-form your region with the viewer. Imagine doing that in VR with VR tools. Not only that, the company is currently developing 3D VR resources that will be made available for the platform launch. No specific date has been announced yet though. The platform is currently designed to work with the Oculus Rift or HTC Vive and the PC platform. However, plans are in the way to make it compatible with mobile VR devices. Linden Lab is currently inviting creators to sign-up for a “creative preview” for the project. People with 3D design experience and those who have worked on environment level designs are invited to develop content for the platforms release. Though information about the project is still scarce, Project Sansar is expected to be a virtual place where people can create, share and earn from their own virtual and creative experiences. For those interested in applying to the project, you can apply HERE.